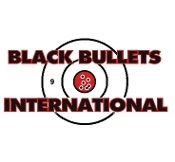 Welcome to Black Bullets International. 1. No maximum on product purchases. We have finally caught up!! 3. We will ship as soon as we have the material available and in the order received (USUALLY LESS THAN 2 WEEKS).You will not be charged until your order is ready to ship. If orders get past a 4 week lead we will once again cut off additional orders. 4. Shipping Insurance is an option and is listed as a Product, but it is highly recommended on all case purchases due to the box weight. We do not replace product that is lost or damaged in shipping unless insured per our Terms and Conditions! !